Verifone is a multinational company that sells merchant-operated, consumer-facing and self-service payments systems, both in hardware and software. 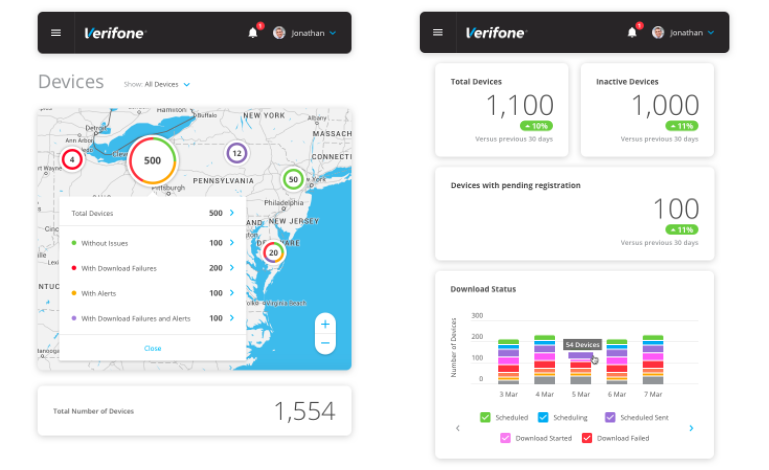 Verifone has traditionally been a hardware provider and needed assistance with digitally transforming their platform into a software company. 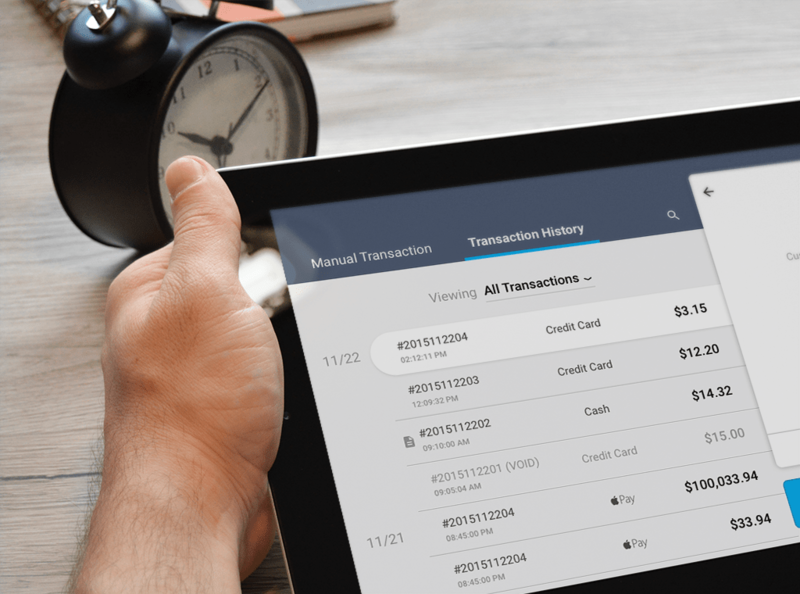 Their solutions range from PIN-based cards, electronic bill payment, signature capture, and Electronic Benefit Transfer, in addition to integration with a host of third-party applications. “Momentum Design Lab’s communication and collaboration were highlights of the engagement. They were able to stick to the timeline and stay under budget while delivering a high-quality product.” Read full review. 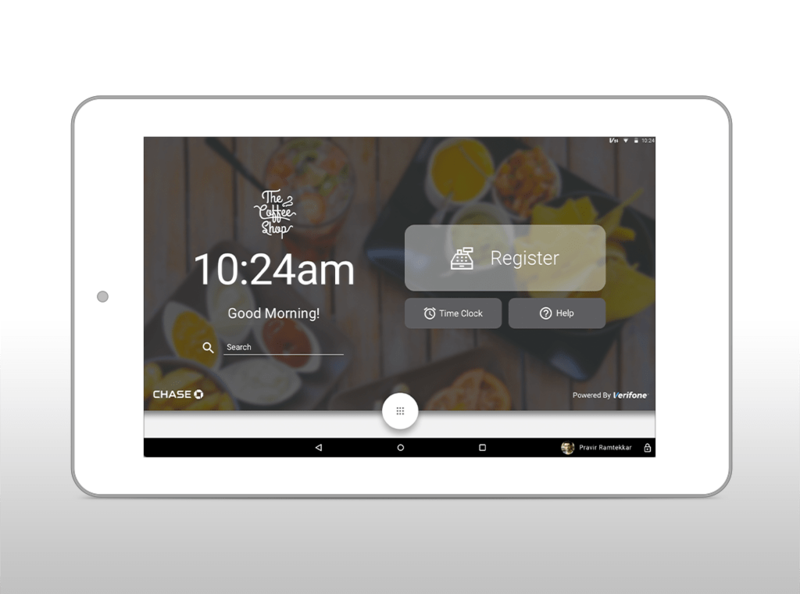 We designed a completely new android based POS system for businesses that require more open and highly customizable experiences. This new device is being used to modernize the next generation of Verifone point of sale devices while maintaining their well-known brand. We executed the project in tight collaboration with our client through multiple workshops and work sessions. These sessions played a crucial role in defining the product requirements and goals as we were designing an entirely new product and marketplace. As part of the initial project to create the POS application, we proceeded with defining the information architecture. The IA uncovered the need for a larger ecosystem of support portals. We proceeded in defining this larger IA and establishing all the support portal required for a successful product launch. 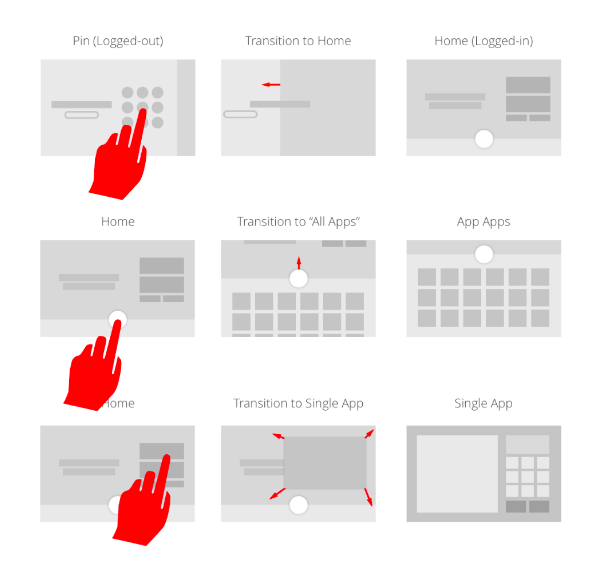 We created two distinct design concepts, each taking a different approach to look and feel and interactions. 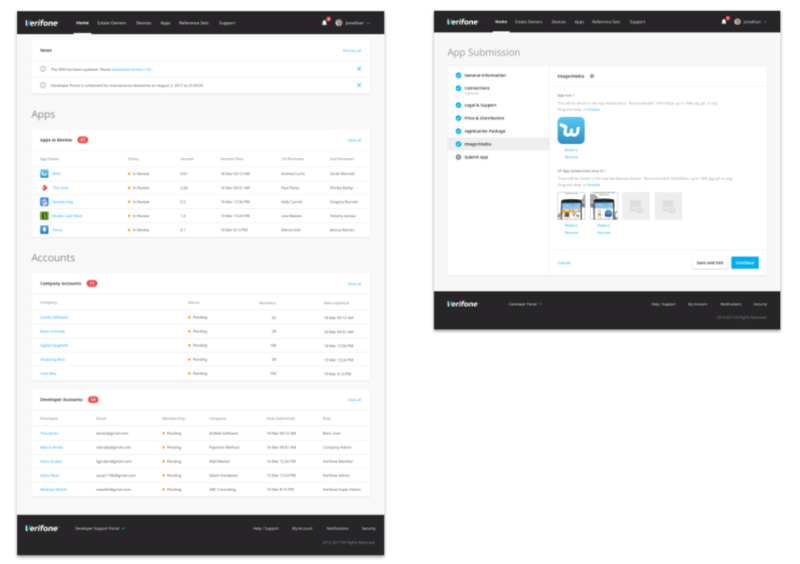 We designed wireframes for each of the main applications, focusing on interactions and user flows instead of visual design. Manual Transaction is one of the most used micro applications. 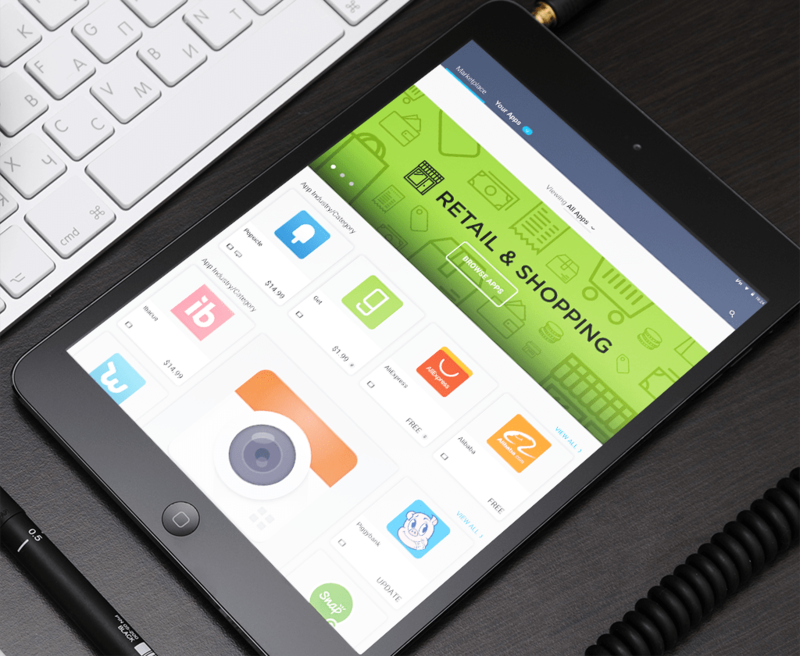 This application is supposed to be used by cashier to perform actions such as perform cash & credit card transactions, refund transactions, run an inventory and review purchase history. We designed an internal app that has several portals for different types of users – estate owners, merchants, developers & developer supports. Estate owners are supposed to troubleshoot all the POS devices, track the issues or failures. 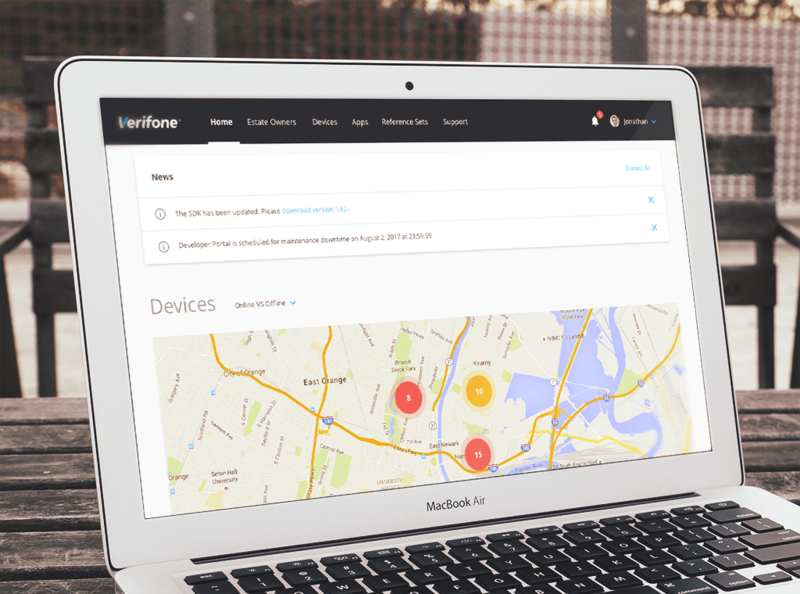 Within this portal admins would filter down devices by geo map location and scan all the devices in real time. They can perform a lot of things remotely which make this tool really powerful. Sales people would see the total sales and revenue of the app that are currently on the market. A separate portal for developers was created. Within that portal they can develop new applications for the marketplace, review applications for approval and view their statuses. 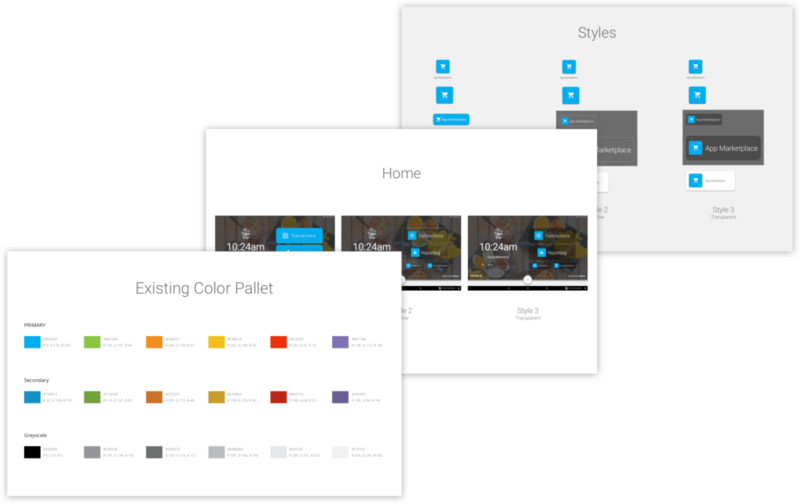 When the Visual design was finalized we prepared a detailed Branding Guidelines for the whole platform. We defined all the states for each and every element within the product. What started as the design of a POS system, the scope grew to include the design of micro applications and support portals. 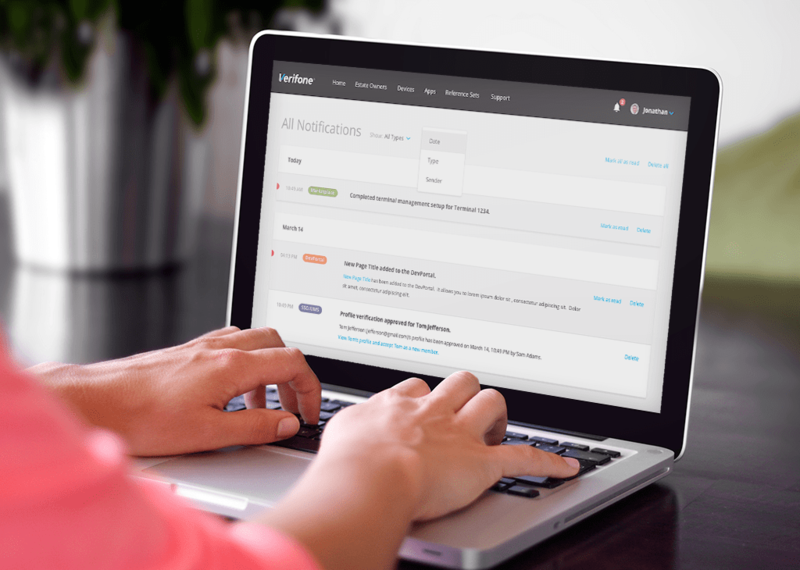 Our work was crucial in creating the necessary software support for a successful hardware launch. 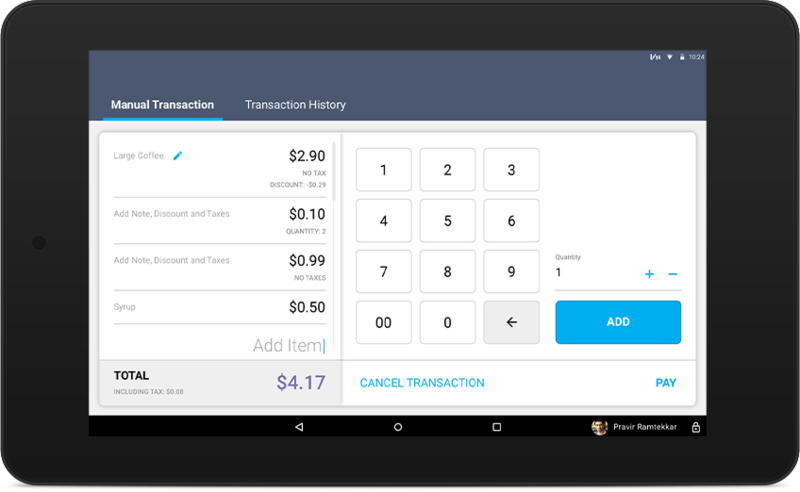 The final result was an entirely new Android-based POS that has helped modernize Verifone to better position themselves in the market. 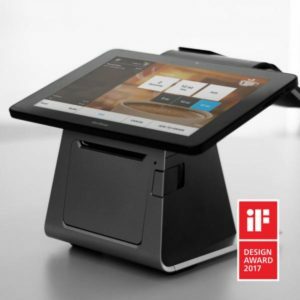 Verifone Carbon won a 2017 If Design Award.